Patrick joined RiverNorth in 2004 and serves as Chief Investment Officer and Portfolio Manager. Patrick heads the firm’s investment team and oversees all portfolio management activities at RiverNorth. Patrick also serves as the President and Chairman of RiverNorth Funds. 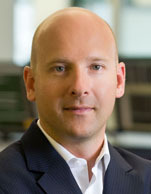 Prior to joining RiverNorth, Patrick was Vice President at Bank of America in the Global Investment Bank's Portfolio Management group where he specialized in analyzing and structuring corporate transactions for investment management firms in addition to closed-end and open-end funds, hedge funds, fund of funds, structured investment vehicles and insurance/reinsurance companies. Patrick graduated with honors from Rochester Institute of Technology with a B.S. in Finance. He is a CFA Charterholder and member of the CFA Institute and the CFA Society of Chicago.